Here's an overview of the types of vegetables according to their family relationships. 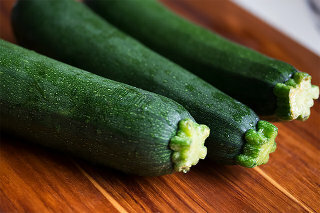 Related vegetables may seem dissimilar due to use of different parts of the plant, such as its stalk, leaves, or fruit. 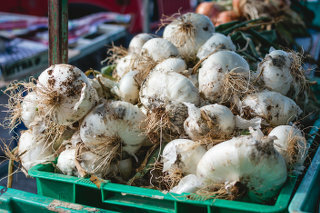 Closely related vegetables typically have similarities in taste and nutrition, although some will be unique within their family. What is a food family? 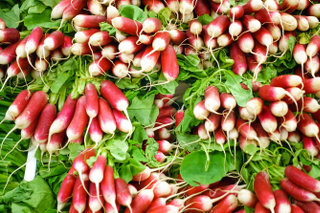 The following types of vegetables can have unique properties, but each of these healthy vegetables gives you the excellent health benefits of vegetables. 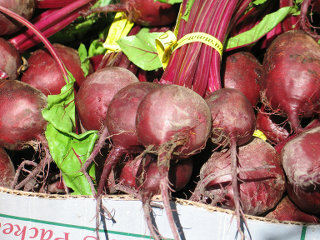 For other types of foods, see the list of fruits, list of grains, list of nuts and seeds, and list of meats and poultry. Vegetables in the onion family are anti-allergy, antioxidant, anti-cancer, anti-histamine, anti-inflammatory, antibacterial, antifungal, and antiviral! 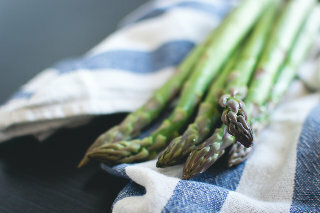 Asparagus is diuretic, detoxifying, and contains antioxidants. Buckwheat is the basis for soba noodles and for kasha (roasted buckwheat groats). It is unreleated to wheat. 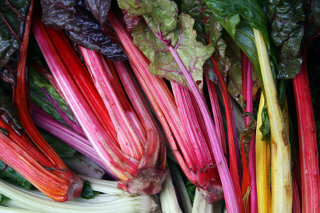 Its surprising relative, rhubarb, has toxic leaves but its stalks are used for pies and jam. Many of our salad greens are in the Composite family. 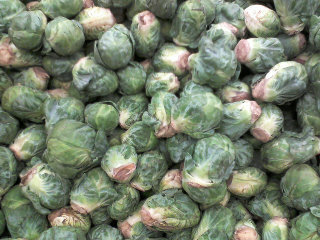 Cruciferous vegetables, especially the Brassica genus, are the cancer-fighting vegetables. The Goosefoot family includes detoxifying roots (beets), seeds used as alternative grains (amaranth and quinoa) and highly nutritious greens. In this nutritious family, the colorful squash and melons contain important carotenoids. 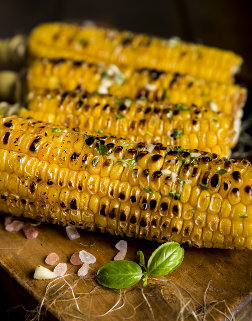 Grains such as wheat, rice, and corn are in the Grass family, and so are several vegetable and herb forms of these plants. For the grain forms, such as wheat and rice, see the list of grains. 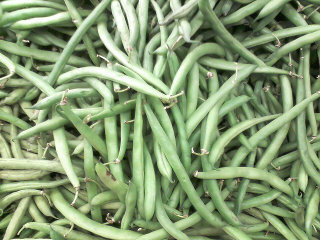 Beans and the legume family are high in protein and fiber. Okra is a unique and healthy vegetable used in Southern cooking. 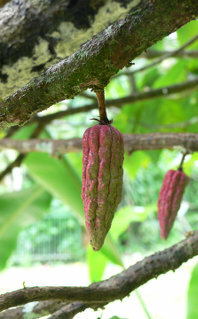 Cacao pods contain the "beans" (seeds of the fruit) that are the source of chocolate. 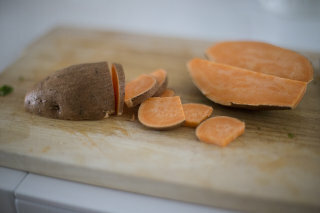 The sweet potato is a complex carbohydrate, and its orange flesh contains carotenoids and fiber. 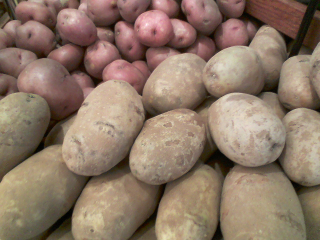 It is not related to the potato or to the true yam. The good: colorful nightshade vegetables contain vitamin C and important antioxidants such as lycopene and lutein (and are fun vegetables). The bad: nightshade vegetables also contain drug-like chemicals called glycoalkaloids. (Nicotine, the glycoalkaloid in tobacco, is one example.) Glycoalkaloids cause joint and muscle pain in some people. 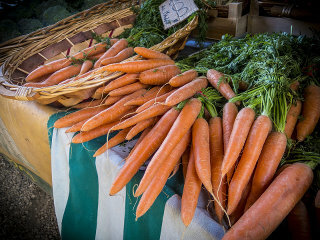 Fiber and phytochemicals combine in carrots, celery, and other umbelliferous vegetables. Colorful reference book of vegetables. 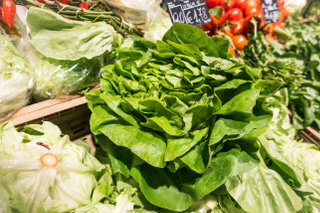 How to identify, select, clean, and store produce.